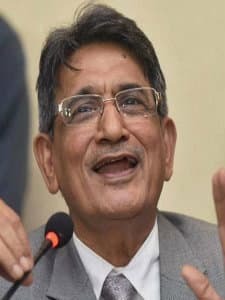 Lodha Committee was constituted by the Supreme Court for carrying out structural and organizational reforms in the BCCI – Board of Control for Cricket in India following the Mukul Mudgal Report on the betting and match fixing scandal of IPL. The panel was headed by former Chief Justice of India - Justice R. M. Lodha and comprised of two other members, namely Justice (Retd.) Ashok Bhan and Justice (Retd.) RV Raveendran (formers justice of Supreme Court) in July 2015 to decide the punishment on he accused and present a report on reforms within the BCCI. The committee presented a final report on January 4, 2016 which detailed a series of reforms within the organizational structure of BCCI with a view of benefitting the game of cricket and safeguarding the interests of its players and the public at large. IPL 2013 Scandal and formation of the Lodha Panel: In 2013, Delhi and Mumbai Police in separate strikes arrested three cricketers, Sreesanth, Ajit Chandila and Ankeet Chavan of Rajasthan Royals and Vindu Dara Singh and Gurunath Meiyappan respectively on charges of IPL Spot Fixing and betting. The arrests unfolded a series of events and links that shook the entire cricketing world. Though the sport is not unknown to betting, the fact remains that betting remains illegal in India. Moreover the involvement of cricketers and franchise owners in the betting scandal presents a grievous mislay of trust of the many fans and followers of the sports – the masses. The Supreme Court constituted the Mukul Mudgal Committee in October 2013 to look into the allegations of betting and spot fixing. The committee was headed by Justice (Retd.) 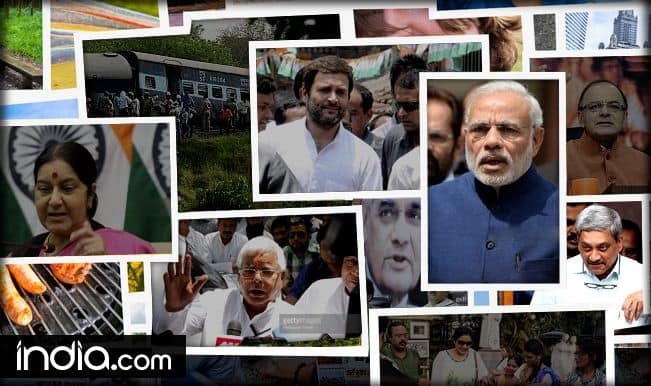 Mukul Mudgal and also included the Additional Solicitor General of India L Nageswara Rao and senior advocate and former cricket umpire Nilay Dutta. The committee submitted its report to the Supreme Court in February 2014. The continuing investigations found India Cements (owner of Chennai Super Kings) and Jaipur IPL (owners of Rajasthan Royals) guilty of the charges. Following the report, Supreme Court then constituted the Lodha Committee – headed by the former Chief Justice of India Rajendra Mal Lodha on January 22, 2016. The apex court set out a three point agenda for the Lodha Panel which was to investigate IPL Chairman Sundar Raman’s role in the betting and match fixing scandal and impose punishment on behalf of BCCI if found guilty; to decide the quantum of punishment of Raj Kundra, Gurunath Meiyappan as well as the franchise owners India Cement and Jaipur IPL who were found guilty of the charges levied on them; and, to provide recommendations/ suggestions for the restructuring of the BCCI and the processes followed by it "with a view to preventing sporting frauds, conflicts of interests, streamlining the working of BCCI to make it more responsive to the expectations of the public at large". Important Milestones: Lodha Panel was given a period of six months to do the required task. As a process, the Lodha Committee sent a questionnaire to the BCCI which had a total of 82 questions. The questions were split into 8 sections which essentially sought explanation of the manner of functioning of BCCI and its stakeholders, the rationale followed while forming the various committees of the board, the election process of the board, provisions for player’s welfare, probing the conflict of interest as well as the transparency in the Indian Premier League (IPL). The questionnaire was sent to all the big bosses of BCCI, namely, N Srinivasan, Sanjay Jagdale, Amitabh Chaudhary, Anurag Thakur, Ravi Savant, Ajay Shirke, Anirudh Chaudhry, Sanjay Patel and Jagmohan Dalmiya. 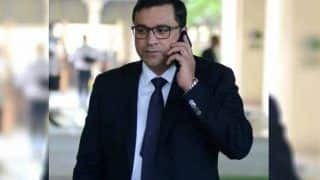 On July 14, 2015, the panel passed its verdict on Raj Kundra and Gurunath Meiyappan, reaffirming their guilt and banning them from the game of cricket for life. Furthermore, the panel also suspended Chennai Super King owners India Cement and Rajasthan Royal owners Jaipur IPL from the IPL for two years. The Panel in its judgment was noted as pointing out that "If those who indulge in corrupt practices forbidden by the rules of the game are an integral part of the franchise in view of their accreditation, part ownership, close relationship and also being team official, the argument that these acts were personal and as a consequence of them if the image of the game, the BCCI and the league got affected, the franchise cannot be held responsible does not merit acceptance". Following the verdict, the Lodha Committee on July 21, 2015 asked for an extension of 5 months to submit its report on the various recommendations for improvement of the BCCI's organizational structure and policies. On January 4, 2016, the Lodha Committee submitted a report on suggestive reforms in the BCCI. Key Reforms as suggested by the Lodha Committee: The panel found many issues in the constitution of the BCCI and accordingly made some key recommendations to bring about structural reforms in the board. The panel found that in the full time members of the BCCI, the states of Bihar, Chattisgarh, Uttarakhand and the six North Eastern states did not have any representation while some states like Gujurat and Maharashtra had three members each representing various regions. Finding this as offering a prejudiced representation, the panel recommended 'each state one member, one vote'. Furthermore, it recommended that the boards which do not have territory like the Railways or the National Cricket Club were to be granted the status of Associate Members without voting rights. The Panel also found that the President of BCCI seemed to hold absolute power. Also, there was no cap on the age limit nor the number of tenures a person could have in office. Putting a cap on both, Lodha Panel has recommended putting in place strict eligibility and tenure limitations for the membership. Furthermore, it has recommended barring bureaucrats, politicians and anybody over the age of 70 to hold the office of a member of the board. Apart from these organizational and governance reforms, the panel has also recommended legalization of betting, the setting up of a player’s association, banning of commercial advertisements after every over, setting up of an independent ombudsman for grievance redressal and making match fixing a criminal offence. The panel has furthermore suggested that BCCI should provide relevant information of its public functions – indirectly suggesting putting BCCI under the RTI Act. The various cricketing boards and BCCI have provided affidavits to the many recommendations but Supreme Court suggested that the BCCI must either honour the recommendations or it would be made to. Following the deadline, BCCI on October 1, 2016 accepted many recommendations of the Lodha Committee.